Dream Date is going to revolve around a woman’s date with a man, and the time of the event is either during the classic or the modern era. You have that choice as the game begins, to pick the era in which you’re playing, and this influences the background image (a garden with flowers vs a modern city), the main character (blonde woman for Victorian era, brunette for modern city) and the men that are looking to get her attention. You even pick the dream date, the man that is the chosen one and which will be used in one of the features together with the woman. In total, the game delivers two settings, two women and eight different men, for the two game modes that you can play in. Besides the images that I’ve already mentioned, other symbols that are accessible in Dream Date include some rather uninspired card suit icons and the game logo. The images are highly detailed when it comes to the main characters, but the opposite is true once you get to the card suits. It’s not a great design, but it will do. The slot’s creator is the industry’s largest and the first one to have started creating software for the online casino industry. With more than two decades of work done in this area, it’s no surprise that it’s estimated that they offer 500 to 600 casino games, for all major categories. They also have the biggest progressive jackpot network around, making dozens of players millionaires already. Their slot machines are always noteworthy, either feature or design wise, but they rarely do great on both counts. Playing the game is easy, as all you have to do is pick the total bet. It starts from the $0.30 minimum, reaching a maximum of $60. For that kind of range, you would be spending up to $2 for individual bet lines, as the game uses them since they replace ways to win. This is a slot with 5 reels, sporting its 243 ways to win. Once you get past the initial choices (era to play in and the man that will be the dream date), you play it like you would any other slot, by picking a bet and spinning its reels. The woman and the man that are chosen as date partners are expected to land in the Hot Zones which are present in the middle position of reels 1 and 5. When that happens, you will get a prize worth 2x to 40x total bet if it’s any of the man symbols that are used. Get the dream date there, and in addition to the cash prize you also receive 8 free spins. The second way that you can get free spins activated is when you land three to five scatters on the reels. This gets you 8 free spins and a generous cash prize. 3rd reel gets expanding wilds with 2x multipliers for the feature’s duration. 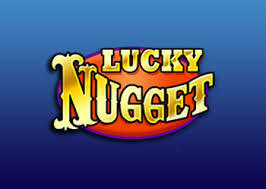 The game also lets you trigger the free spins with both the Hot Zones and the scatters during the same round, adding up the free spins and the cash prizes. Wild symbols are going to be present on all columns, where they can be substitutes or they can form combinations. The most generous payout that the game gives us through its five scatters will be worth 100x the wager, or $6,000. Dream Date is not going to appeal to everyone, thanks to its choice of theme, but those that do like it will find a good set of features inside, and plenty of options to keep things fresh.